Freeflex capsules and Calcivon tablets in combination provide stronger and healthier joints of the body and flexible and stronger bones; these enhance entire musculoskeletal system and its performance to keep a person active and agile for longer period in life. Body moves with the help of healthy and stronger joints; these joints can suffer damages due to aging, strain, injuries, debilities, diseases and disorders. Weak joints make body’s movement restricted and deplete its efficiency. Weaker bones can lead to weaker and stiff joints; these deteriorate body’s posture and can put a person in bed. 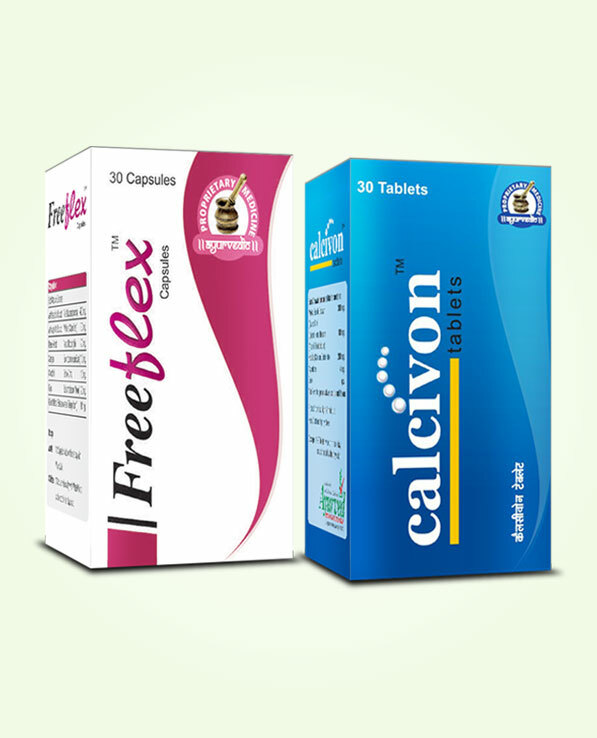 Freeflex capsules and Calcivon tablets are perfect and highly effective supplements which enhance strength and endurance of joints and bones and keep a person’s musculoskeletal system upbeat and healthy. These prevent ill-effects of aging, curb disorders like arthritis, osteoporosis, infections, gout and also effectively repair damages due to strain, surgeries, trauma, fractures, etc. 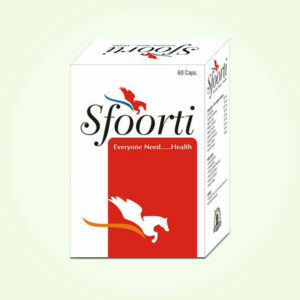 Enhance joint strength, endurance and performance by energizing and strengthening all the organs of the joints. Ensure faster tissue growth and repair damaged tissues to keep tendons, ligaments and muscles healthier. 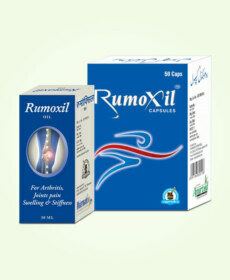 Flush-out excessive presence of harmful acids like uric acid and dissolve its crystals to prevent cartilage damages. Lower toxicity level of the body and blood, and curb infections. Prevent bone atrophy due to aging and enhance growth of bone tissues to maintain their density and flexibility. Enhance immunity to suppress auto-immune disorders and rheumatoid arthritis. Repair damaged cartilages, curb inflammatory response of the body and enhance flow of blood to increase joint strength and promote movement. Prevent stiffness, discomfort and lethargy in joints. Cures redness, warmth in joints and joint tenderness effectively. Supplement calcium in optimum dosage to maintain healthy bones. Ensure absorption of calcium by supplementing vitamin D.
Enhance bone density and improve their flexibility to keep musculoskeletal system healthy and strong. Enhance growth of bone tissues and prevent bone atrophy. Improve muscular functions and their endurance. Prevent muscle sprains, swellings and spasms. Cure bone infections and prevent them from becoming brittle. Effective cure and preventive remedy for osteoporosis, fibromyalgia and other disorders that cause bone weaknesses. Freeflex capsules are highly effective supplements which come loaded with extensively efficient and potent herbs like Guggul, Rasna, Asthisanghar, Suranjan, Kesar, Ashwagandha, Godanti Hadtal and Chobchini. These herbs collectively enhance nutrition and oxygen supply to organs of joints and bones. These enhance muscular energy and strength and also repair damages caused to muscles and ligaments. These repair damaged tendons and enhance digestion to prevent excessive presence of harmful chemicals, acids and toxins in the system. These digest and assimilate vital minerals like calcium and enhance bone density. These improve immunity and also curb infections in synovial fluid. The herbal ingredients of Freeflex capsules stimulate tissue growth and also repair damaged cartilages due to arthritis or overuse and injuries. These cure stiffness in joints and diffuse swelling to promote movement. Some of the herbs used in these capsules are powerful pain killers and stimulate nerve functions to promote joint movement and improve joint stability. These prevent joint stiffness, increase range of motion and arrest growth of disorders which harm joint and bone health and make a person immobile. These enhance secretion of healthy hormones by improving thyroid gland functions and pituitary gland. These are natural cures for all type of arthritis including osteoarthritis, rheumatoid, gout, septic, etc. and debilitating disorders like osteoporosis, fibromyalgia, neuralgia, etc. These are effective in relieving pain in legs, cramping, sciatica pain, cervical spondylitis, lumbago and other aches related to musculoskeletal system. Calcivon tablets possess herbs like Godanti Hadtal, Mukta Shukti Bhasma, Khatika, etc. These herbs supplement calcium in most absorbable form. These herbs are not only rich sources of calcium but also supplement vitamin C and D which digest and ensure complete assimilation of calcium in the body. All these supplements enhance growth of bone tissue and increase bone density, endurance and flexibility. This provides strength and power to skeleton of human body which can bear pressure of movement and bodily organs easily and without getting stressed. Healthy bones are vital for keeping joints healthy and body’s movement smooth and painless. Hence in combination Freeflex capsules and Calcivon tablets work as complete tonic to keep body healthy, active and agile for longer period in life. Calcivon tablets are efficient cures for disorders which affect people commonly like osteoporosis and deplete bone strength and endurance by promoting bone atrophy. Optimum calcium supplementation provided by these capsules also stops body from stealing calcium from bones and causing weaknesses in them. Freeflex capsules and Calcivon tablets are easy to use; simply consume one or two pills of these twice in a day after breakfast and dinner with water for 3 to 4 months regularly. These are completely safe and can be taken even by young and healthy individuals to keep joints and bone problems away, and stay powerful and agile for longer period in life. The combination of capsules treated my bone weakness and improved my overall bone density. This is a great product to treat joints too. My father and I both take these capsules and tablets to treat our respective issues. I will highly recommend this product to everyone having bones problem. It is 100% safe to take. My grandmother is old and she is always has knee joint pain because of her age. I wanted to help her and so, I decided to buy this product. I asked her to take these capsules and tablets regularly and she followed me. She is better now. It has helped her to a great level. Thank you Ayurveda. I used to have trouble in walking and when I went to see my doctor, he said I have comparatively less bone density. 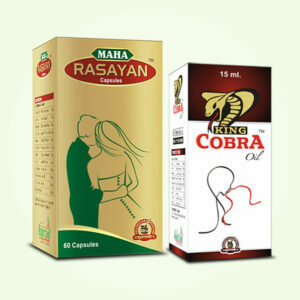 I did not want to take any allopathic treatment so I started using this product to treat my problem. I thank my friend, who suggested me this product, to this very day for his recommendation.